Area rugs are not only elegant and breathtaking, but they’re also colorful and bright; therefore, when your area rugs begin to fade and loose their coloring, it can quickly have a negative effect on the overall style and appearance of your home. It’s best to restore your rug as soon as you notice a change in its coloring. Luckily, Boynton Beach Oriental Rug Cleaning Pros are experts at rug color correction, and our team can quickly revive the appearance of your rug through the execution of our proven techniques. 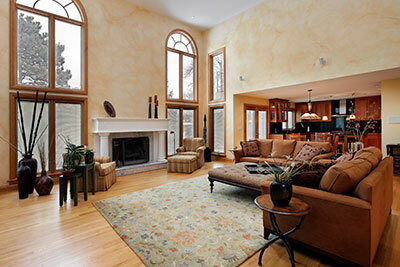 One of the most common purposes for area rugs is to lighten up a space and draw attention. To begin our color correction process, our team will first determine the degree of the damage. We will inspect and analyze your rug, which will allow us to decide what the best course of action would be for restoration. In some cases, we will perform color correction through the process of dyeing. Our experts will select a dye that perfectly matches the color of your rug, and for rugs with multiple colors, our experts will use a variety of different dyes to execute the perfect match. If the color has faded from a small area (owing to chemical damage), we use syringes to correct it. If large patches of faded color are apparent, we use a sprayer to spread the dye quickly, yet effectively. If your rug has multiple complex color combinations, it will require the use of specialized tools like airbrushes to apply the dye. Discoloration due to spills or liquid is another common issue that rug owners face and one that we frequently deal with – while less time-consuming due to a smaller area of effect, these cases are among the most challenging as we'll need to apply just the right amount of color so that the affected spot doesn't deviate from the rest of the carpet in any way. Traffic and age-related discoloration aren't uncommon either—we'll have no trouble tampering with your carpet's odometer and reducing its mileage no matter its materials or dyes. ​While quite a few carpet cleaners out there provide color correction services, many of them will simply introduce another form of discoloration with their work, albeit one that is slightly less visible. Our professionals are also skilled at color correction through the use of chemical treatments. 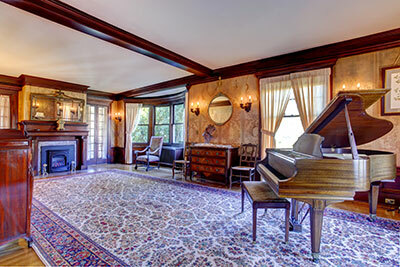 Such chemicals are applied in a way similar to the dye application process: while the chemicals are partially made from dyes, they also include other substances that serve to make your rug look as good as new; however, this technique is limited to minor color damage, which means it can't be used in cases of heavily discolored carpets. While the idea of chemical treatments may sound hazardous to the overall condition of your rug, our Rug Pros can ensure that we only use the safest solutions in order to protect the safety of your area rug. 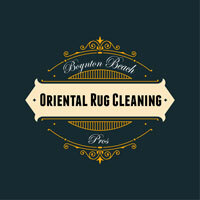 Regardless of what type of discoloration your area rug is experiencing, or how extensive the damage is, remember to get in touch with our team at Boynton Beach Oriental Rug Cleaning Pros as soon as possible so we can immediately inspect your rug and begin our rug color correction processes.